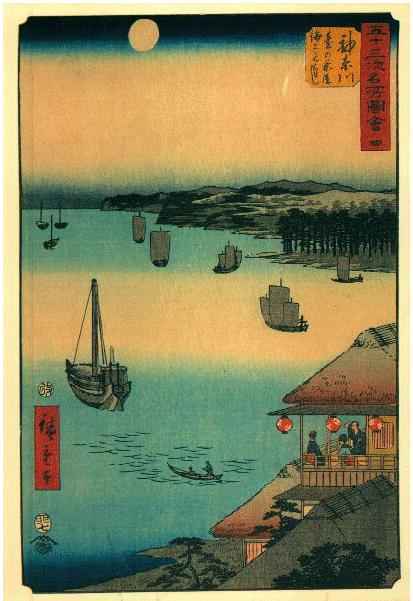 1857 Japan: US envoy Townsend Harris convinces the Japanese to agree to amendments to the Treaty of Kanagawa opening the port of Nagasaki to American ships and affirming extraterritoriality. 1868 Birth: Miklos Horthy: Hungarian admiral and statesman who served as regent from 1920 to 1944. 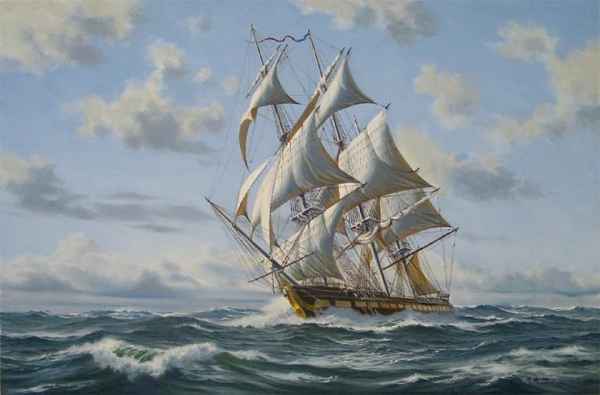 Horthy was born in Kenderes in 1868, and educated at the Naval Academy of Fiume. During World War I (1914-1918) he became admiral of the Austro-Hungarian navy. After the war he returned to Hungary and organized a counterrevolution against the communist government of Bela Kun. Horthy was made commander in chief of the Hungarian armed forces in 1919, and in 1920 the National Assembly elected him regent. As regent he defeated the attempts (in March and October 1921) of Charles I, former emperor of Austria and king of Hungary, to regain the throne, a move in which Horthy was supported by the Hungarian government. Under his regime, Hungary became the first post-World War I nationalist dictatorship in Europe, ruthlessly suppressing all political opposition. During the 1930s, Horthy's government, supported by a strong tide of nationalism, wanted the Treaty of Trianon, Hungary's settlement with the Allies in 1920, to be revised to return parts of Czechoslovakia, Romania, and Yugoslavia. After the Munich Pact of 1938, Hungary appealed unsuccessfully to the Western countries to help it reclaim sections of Slovakia that were awarded to Czechoslovakia in the Treaty of Trianon. Failing there, Horthy sought help from the Germans. Delegates from Germany and Italy agreed to arbitrate the Hungarian demands. The first Vienna Award in 1938 gave Hungary a section of Slovakia with a large Hungarian population. The second Vienna Award in 1940 gave Hungary a large section of Romania. In return for the Romanian territory, Hungary agreed to fight with Germany and Italy in World War II. In 1942, believing that the Axis powers would lose the war, Horthy began negotiating a separate peace treaty with the Allies. However, the Germans occupied Hungary in 1944, and Horthy chose to install a collaborating, pro-German government rather than face German takeover. When the Union of Soviet Socialist Republics invaded Hungary in October 1944, Horthy tried to surrender to them. The Germans discovered this and arrested him. At the end of the war, Horthy was captured by the United States Army in Bavaria and was held in protective custody until the end of 1945, when he was released. He spent the rest of his life in Portugal. Daladier (second from left, between Chamberlain and Hitler) studied at Lyons under Edouard Herriot and as a member of the Radical Party, he was elected as mayor of Carpentras in 1911. In 1911 Daladier entered the Chamber of Deputies. Nicknamed the "Bull of Vaucluse," he eventually replaced Herriot as leader of the party. In June, 1924, Daladier was appointed as minister of the colonies. Over the next nine years he held several posts including minister of war. Daladier became prime minister in January, 1933, but his government only survived for seven months. A second government, in 1934, only lasted for a few weeks. Concerned by the emergence of Adolf Hitler in Nazi Germany, a group of left-wing politicians, led by Leon Blum, Maurice Thorez, Edouard Herriot, Daniel Mayer formed the Popular Front in 1934. Parties involved in the agreement included the Communist Party, the Socialist Party, and Daladier's Radical Party. The parties involved in the Popular Front did well in the 1936 parliamentary elections and won a total of 376 seats. Leon Blum, leader of the Socialist Party, now become prime minister of France and Daladier became Minister of War. Once in power the Popular Front government introduced the 40 hour week and other social reforms. It also nationalized the Bank of France and the armaments industry. At the beginning of the Spanish Civil War Daladier supported Blum's attempt to provide military aid to the Popular Front government in Spain. However, after coming under pressure from Stanley Baldwin and Anthony Eden in Britain, and more right-wing members of the government, he changed his mind and began advocating a policy of neutrality. In April, 1938, Daladier once again became prime minister. He was a supporter of appeasement and on 29th September, 1938, he joined with Adolf Hitler, Neville Chamberlain and Benito Mussolini in signing the Munich Agreement which transferred to Germany the Sudetenland, a fortified frontier region that contained a large German-speaking population. 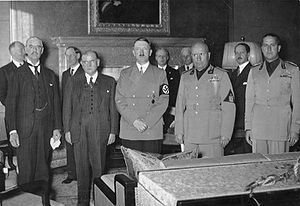 When Eduard Benes, Czechoslovakia's head of state, who had not been invited to Munich, protested at this decision, Daladier and Neville Chamberlain told him that their countries would be unwilling to go to war over the issue of the Sudetenland. After the war Daladier was elected to the Chamber of Deputies in 1946. A strong opponent of Charles De Gaulle, Daladier retired from politics in 1958. Edouard Daladier died in Paris on 10th October, 1970. Bismarck, having achieved the creation of a united German empire in 1871, remained keen to protect against its possible break-up by a combined two-front attack from French and Russia. Thus his alliance with Russia in 1887, the so-called Reinsurance Treaty, was intended at avoiding that possibility, although under the terms of the agreement Russia was not bound to come to Germany's aid if the latter attacked France (or if Russia declared war with Austria-Hungary, Germany's close ally). Germany essentially paid for Russia's benevolence by recognising Russia's sphere of influence in Bulgaria and Eastern Rumelia (now part of southern Bulgaria), and by agreeing to support any Russian action to retain control of the Black Sea. The treaty itself ran for three years, after which it was allowed to lapse. Subsequently Russia allied herself with Britain and France in the Triple Entente. Perhaps fearing further foreign intervention, [the Empress] threw in her support to these anti-foreign bands, making an official announcement of her support for the movement and a formal declaration of war on the European powers. When the Westerners responded by dispatching the Eight-Nation Alliance, the Chinese military was unable to prevent the Allied army from marching on Beijing and seizing the Forbidden City. Regional governors refused to commit their armies to help a cause they regarded as blind and unrealistic. The Chinese military was under equipped and underfunded partly because the Empress Cixi had earlier consumed precious funds to build a stone 'Boat of Purity & Ease' or Qingyangfang in the Imperial Summer Palace. The Battle of Loos formed a part of the wider Artois-Loos Offensive conducted by the French and British in autumn 1915, sometimes referred to as the Second Battle of Artois. The Artois campaigns comprised the major Allied offensive on the Western Front in 1915. Along with the attack against Loos by the British, French troops launched offensives at Champagne (the Second Battle of Champagne), and at Vimy Ridge in Arras. The French and British High Command, notably French Commander-in-Chief Joseph Joffre, relied upon numerical supremacy—3 to 1 in favour of the French at Champagne—to overpower the Germans. The Loos offensive began on 25 September following a four day artillery bombardment in which 250,000 shells were fired, and was called off in failure on 28 September. Presided over by Douglas Haig, the British committed six divisions to the attack. Haig was persuaded to launch the Loos offensive despite serious misgivings. He was much concerned at both a marked shortage in available shells (sparking the shell shortage scandal in Britain in 1915), and at the fatigued state of his troops; he was further concerned at the nature of the difficult terrain that would need to be crossed. All considered, he favoured a delay before the offensive at Loos was put underway, while these concerns were addressed. Set against these concerns however was the reality that the British enjoyed massive numerical supremacy against their German opposition at Loos, in places of 7 to 1. Once the preliminary artillery bombardment had concluded, Haig's battle plans called for the release of 5,100 cylinders of chlorine gas (140 tons) from the British front line. The quantity of gas used was designed to entirely overcome the primitive state of German gas mask design in use at the time. Unfortunately the release of gas was not without mixed results. In places the wind blew the gas back into the British trenches, resulting in 2,632 British gas casualties, although only seven actually died. 1935 The German-British Naval Treaty is signed: It permits much greater German naval strength than allowed by the Versailles Treaty and greatly irritates France. The naval treaty constitutes the first nail in the coffin of the Versailles Treaty. Enclosed I am sending a memorandum of Counselor of Legation Hilger on his conversation with Commissar for Foreign Trade Mikoyan on June 17,1939. The fact that Mikoyan received Herr Hilger immediately after his arrival, after an appointment had been made on the day before, shows that Mikoyan is anxious not to lose contact. That Mikoyan would immediately accept the German proposal could hardly be expected considering the mentality of the Soviet Government, which at present is riding a high horse, and its known methods of negotiation. The continually repeated statement of Mikoyan that he suspects a political game behind our offer of negotiation may not be due only to tactical motives but may partly reflect his true opinion. Mikoyan seems to believe that we had deliberately chosen the present time for economic negotiations. This becomes clear from his remark that we expected an advantage from a resumption of the economic negotiations just now. It is a remarkable nuance that Mikoyan in his answer uses the same formula as the communiqué published on June 16 on the first conversation of Molotov with the British and French Ambassadors and Strang. In this as well as in the other case the result is called "not entirely favorable." V. Tippelskirch. After the Embassy had made an appointment the People's Commissar Mikoyan received me today immediately after my return from Berlin. I explained to Mikoyan the purpose of my trip and pointed out the unfavorable impression which his last communication of June 8 had left with us. At the same time I asked him to consider the fact of my trip to Berlin and the answer of the German Government which I had brought along as an additional proof of the seriousness of our intentions with respect to the expansion and strengthening of German Soviet economic relations. Thereupon I read to Herr Mikoyan the text of the German answer that had been given to me in Berlin (cf. enclosure). The People's Commissar listened with rapt attention, while Babarin, newly appointed Deputy Commercial Representative in Berlin, who was present at the conversation, busily wrote down every word. The People's Commissar appeared to be visibly impressed with the German answer. Nevertheless, he declared after a short pause that the German answer had disappointed him, since it did not meet his conditions. On the basis of the instructions received in Berlin on this subject, I then commented on the contents of the German answer in great detail. I stressed particularly the great German concession which was expressed in sending Counselor of Legation Schnurre and in accepting the last Soviet proposal as a basis for negotiations. I reminded the People's Commissar that during the negotiations in February he did not describe the last Soviet proposal as his last word, but as the basis of further negotiations. I further reminded him of his statement in the conversation of June 8, in which he had declared that the Soviet Government would see in the despatch of Herr Schnurre proof of the fact that the German Government was also serious in the matter of "policy" [der "Politik"]. Mikoyan replied that my two last statements corresponded entirely with the facts and that I had repeated his statements correctly. Nevertheless, he still did not believe he had assurance that it was for us not a question of continuing a political game in which the Germans had an interest just at the present moment and from which they expected advantages to them. To this I replied sharply that I had often enough rejected his statements regarding a political game allegedly played by us and that they would not become more convincing by continuous repetition. I could not understand at all what risk for the Soviet Union the People's Commissar saw in the whole matter, since the Soviet Government was not delegating a special emissary to Berlin, but the German Government was sending Herr Schnurre to Moscow, and, in fact, in agreement with the request expressed by the Soviet Government in January of this year. Herr Mikoyan replied that this statement by me was also correct, since the Soviet Government at that time had expressed the specific desire to conduct the negotiations in Moscow. Thereupon I stated to the People's Commissar that I was completely in the dark about what he really wanted from us, after all, and what answer he had expected from the German Government. Mikoyan replied that he had expected concrete statements as to which points of his last proposal we would and which we would not accept. I told the People's Commissar that this was clearly apparent in the German answer and my oral comments of today. Therefore I would like to repeat for the third time that, after the existing obstacles had been removed on our part, we definitely expected agreement from the Soviet Government to our wishes and an increase in the Soviet offer of raw materials. All other less important points would have to be left to the negotiations suggested by us. This offer from us represented the maximum concession. If on this basis we did not soon arrive at concrete negotiations, the responsibility would fall alone upon the Soviet Government. Thereupon, the People's Commissar declared that he unfortunately could not change his opinion that the German answer was "not entirely favorable." Nevertheless, he would present it to his Government and inform me of the result. Hilger. [Sub-enclosure] SECRET: The German Government is willing to send Counselor of Legation Schnurre to Moscow with authority to negotiate expansion and strengthening of economic relations between the Reich and Soviet Russia and, if a common basis is found, to come to an agreement. From the fact of sending a German plenipotentiary as negotiator we request the Soviet Government to conclude that the German Government expects and desires a positive conclusion on a widened basis. We would have to refuse acceptance in advance of the Soviet counterproposal of February 1939, however, since this counterproposal itself is to be the basis of the negotiations. The Soviet Government, however, should note that in the meanwhile we have endeavored to remove obstacles which in February still appeared to us as insurmountable. However, we expect that the Soviet Government, too, will re-examine Soviet raw material deliveries in the light of German desires in order to establish a balance of give-and-take under the future treaty. The disastrous military events which have happened during, the past fortnight have not come to me with any sense of surprise. Indeed, I indicated a fortnight ago as clearly as I could to the House that the worst possibilities were open; and I made it perfectly clear then that whatever happened in France would make no difference to the resolve of Britain and the British Empire to fight on, 'if necessary for years, if necessary alone.' During the last few days we have successfully brought off the great majority of the troops we had on the lines of communication in France; and seven-eighths of the troops we have sent to France since the beginning of the war-that is to say, about 350,000 out Of 400,000 men-are safely back in this country. Others are still fighting with the French, and fighting with considerable success in their local encounters against the enemy. We have also brought back a great mass of stores, rifles and munitions of all kinds which had been accumulated in France during the last nine months. France: German troops capture Le Mans and Cherbourg; the garrisons of Belfort, Metz and Dijon surrender. The First Polish Grenadier Division defends its sector in a two-day battle against the Germans at Lagarde, France. The leaders who, for many years, have been at the head of the French armies have formed a government. This government, alleging the defeat of our armies, has made contact with the enemy in order to stop the fighting. It is true, we were, we are, overwhelmed by the mechanical, ground and air forces of the enemy. Infinitely more than their number, it is the tanks, the airplanes, the tactics of the Germans which are causing us to retreat. It was the tanks, the airplanes, the tactics of the Germans that surprised our leaders to the point of bringing them to where they are today. But has the last word been said? Must hope disappear? Is defeat final? No! 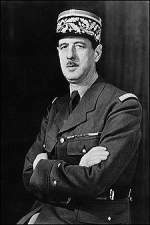 I, General de Gaulle, currently in London, invite the officers and the French soldiers who are located in British territory or who might end up here, with their weapons or without their weapons, I invite the engineers and the specialised workers of the armament industries who are located in British territory or who might end up here, to put themselves in contact with me. Whatever happens, the flame of the French resistance must not be extinguished and will not be extinguished. Tomorrow, as today, I will speak on the radio from London. 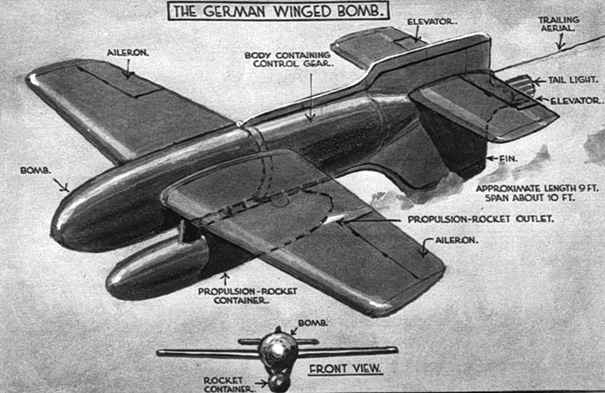 War in the Air: The RAF bombs Bremen and Hamburg. Benito Mussolini arrives in Munich with his foreign minister, Count Ciano, to discuss immediate plans with the Fuhrer, and doesn't like what he hears. Embarrassed over the late entry of Italy in the war against the Allies, and its rather tepid performance since, Mussolini met with Hitler determined to convince his Axis partner to exploit the advantage he had in France by demanding total surrender and occupying the southern portion still free. The Italian dictator clearly wanted "in" on the spoils, and this was a way of reaping rewards with a minimum of risk. But Hitler, too, was in no mood to risk, and was determined to put forward rather mild terms for peace with France. He needed to ensure that the French fleet remained neutral and that a government-in-exile was not formed in North Africa or London determined to further prosecute the war. He also denied Mussolini's request that Italian troops occupy the Rhone Valley, and that Corsica, Tunisia, and Djibouti (adjacent to Italian-occupied Ethiopia) be disarmed. Ciano recorded in his diary that Mussolini left the meeting frustrated and "very much embarrassed," feeling "that his role is secondary." Ciano also records a newfound respect for Hitler: "Today he speaks with a reserve and perspicacity which, after such a victory, are really astonishing." German-Turkish Friendship Treaty is signed. Free French troops occupy Damascus in Syria. Churchill travels to Washington to confer with Roosevelt. Eastern Front: Infantry units of 11 Armee (von Manstein) break into the outer defenses of the fortress of Sevastopol in the Crimea. North Africa: Libya: British Eighth Army evacuates Sidi Rezegh and El Adem. The enemy knows that he is doing only limited damage to our armaments and war industries. That is not his goal. His goal is to torture defenseless civilians, to bring death to their homes and dwellings, and to attempt to break German morale. It is his last attempt to salvage his otherwise hopeless military strategy. Numerous murdered women, old people and children testify against the Anglo-American plutocrats. They join me in accusing a military policy that mocks all standards of human decency. Normandy: The US First Army (Bradley) cuts off and isolates the German forces defending Cherbourg. 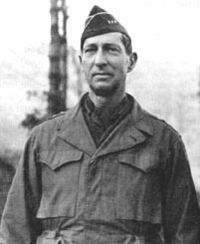 Italy: US Fifth Army (Clark) captures Prugia. People are already making bets that the war will be over in three or four or eight days. I see this as an enormous danger for us if these exaggerated hopes and illusions are not met. In the end, those carried away by enthusiasm will blame the government. I fear this excessive enthusiasm will end in great disappointment. That cannot happen. I have therefore given the press and radio firm instructions to reduce the revenge propaganda and keep to purely factual reporting. The invasion of the European coast by the Western powers is the central military event of the summer. It deserves our first attention in considering the overall war situation. It would be a mistake to attempt at this point an evaluation of the enemy's goals and the political and military prospects resulting from them. It is too early for that yet. Things are still in motion. Neither side has a clear advantage, nor is that to be expected in the present situation. It was clear from the start that the Western Powers would make a stronger attack on the Atlantic Wall than they did at Dieppe. This time, both attackers and defenders know that it is all or nothing. London and Washington did not leave a back door open this time. It took some violence to the facts, but the enemy could say of Dieppe that it was no more than an attempt at carrying out a raid along the Channel coast. That is not possible this time. We and our opponents are committed. The clash of weapons on the French Atlantic Coast is also a clash of spirit and outlook. The fact that it took the English and Americans so long to begin the adventure is a sign that they know as well as we do what it means. And not only we and they: it is clear to all of Europe, indeed to the whole world. It has been made sufficiently clear that Churchill and Roosevelt undertook the invasion only after ceaseless pressure from the Kremlin, pressure that bordered on extortion. On 18 June, in the last written official order of the 32d Army, General Ushijima appointed an officer to lead the "Blood and Iron Youth Organization" and conduct guerilla warfare after the cessation of organized combat. At the same time he ordered remaining troops to make their way to the mountains in the northern end of Okinawa where a small band of guerillas was supposedly already operating. The migration was to extend over several days; soldiers were to travel in groups of from two to five and were urged to wear civilian clothes and avoid conflict if possible. This infiltration of Japanese was detected during the night of 18-19 June and both the front lines and rear installations burst into activity. Illumination flares hung over the southern tip of Okinawa between darkness and dawn, and the sound of machine-gun fire was almost constant through the night. This nighttime movement reached a peak several nights later, when one division, the 7th, killed 502 enemy soldiers. The infiltrating Japanese were not aggressive and carried weapons only for their own protection, their chief concern being to escape to the north or, in some instances, to submerge their identity in the civilian population. While some Japanese chose to chance the hazards of moving north, a great many fought savagely and were determined to take as many Americans as possible to death with them. William Joyce was born in New York City on 24th April 1906. His mother was English and his father was a naturalized Irishman. He lived for a time in Ireland as a child and in 1922 he emigrated to England with his family. He attended the University of London where he graduated with a first class honours degree. In 1923 Joyce joined the British Fascisti (BF). Its leader, Miss Rotha Lintorn-Orman later said: "I saw the need for an organization of disinterested patriots, composed of all classes and all Christian creeds, who would be ready to serve their country in any emergency." Members of the British Fascists had been horrified by the Russian Revolution. However, they had gained inspiration from what Benito Mussolini had done it Italy. The BF were unpopular in some areas and Joyce often acted as a steward at public meetings. On 22nd October 1924 Joyce was on duty at a meeting at Lambeth. He became involved in a fight and received a razor cut from the corner of his mouth to behind his right ear. 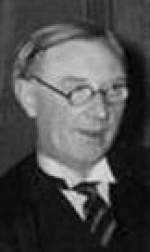 In 1925 Maxwell Knight, the Director of Intelligence of the British Fascisti, was recruited by MI5. He was placed in charge of B5b, a unit that conducted the monitoring of political subversion. Knight recruited a large number of his agents from right-wing political organizations. It was later discovered that Joyce was one of MI5's agents. Over the next few years Joyce provided Knight with information he had about the activities of the Communist Party and other left-wing groups. Like other members of the British Fascisti, Joyce had a deep hatred of Jews and Communists. He claimed that his facial wound had been caused by a "Jewish Communist". He also blamed his failure to complete his MA on a Jewish woman tutor. In early 1933 Joyce joined the British Union of Fascists (BUF) led by Oswald Mosley. The BUF argued for a programme of economic revival based on government spending and protectionism. By 1934 Mosley was expressing strong anti-Semitic views and provocative marches through Jewish districts in London lead to riots. Mosley attracted members from other right-wing groups such as the British Fascisti, National Fascists and the Imperial Fascist League. By 1934 the BUF had 40,000 members and was able to establish its own drinking clubs and football teams. The BUF also gained the support of Lord Rothermere and the Daily Mail. Oswald Mosley appointed Joyce as the party full-time Propaganda Director. Joyce, along with Mosley and Mick Clarke, were the organisation's three main public speakers. On 7th June, the BUF held a large rally ay Olympia. About 500 anti-fascists managed to get inside the hall. When they began heckling Mosley they were attacked by 1,000 black-shirted stewards. Several of the protesters were badly beaten by the fascists. There was a public outcry about this violence and Lord Rothermere withdrew his support of the BUF. Over the next few months membership went into decline. Under the influence of Joyce the BUP became increasingly anti-Semitic. The verbal attacks on the Jewish community led to violence at meetings and demonstrations. In November 1936 a serious riot took place when left-wing organisations successfully stopped Mosley marching through the Jewish areas of London. The activities of the BUF was checked by the passing of the 1936 Public Order Act. This gave the Home Secretary the power to ban marches in the London area and police chief constables could apply to him for bans elsewhere. This legislation also made it an offence to wear political uniforms and to use threatening and abusive words. The BUP anti-Semitic policy was popular in certain inner-city areas and in 1937 Joyce came close to defeating the Labour Party candidate in the London County Council election in Shoreditch. Joyce argued that the BUP should take a more extreme position on racial issues. Mosley disagreed and began to feel that Joyce posed a threat to his leadership. He therefore decided to sack Joyce as Propaganda Director. In an attempt to save money another 142 staff members also lost their jobs. Joyce now decided to leave the organization and with the help of John Becket and A. K. Chesterton he founded the National Socialist League. In a pamplet, National Socialism Now, Joyce began to express views similar to those of Adolf Hitler. He wrote: "International Finance is controlled by great Jewish moneylenders and Communism is being propagated by Jewish agitators who are at one fundamentally with the powerful capitalists of their race in desiring an international world order, which would, of course, give universal sovereignty to the only international race in existence." When Adolf Hitler ordered the invasion of Czechoslovakia Joyce became convinced that war with Germany was inevitable. Unwilling to fight against Hitler's forces, Joyce began to consider leaving the country. This view was reinforced when he was warned by Maxwell Knight of MI5 that the British government was considering the possibility of interning fascist leaders. On 26th August, 1939, Joyce left for Nazi Germany. Soon after arriving in Berlin he found work with the German Radio Corporation as an English language broadcaster. Joyce joined the 'German Calling' programme. On 14th September, 1939, a report in the Daily Express described the broadcaster as speaking the "English of the haw-haw, damit-get-out-of-my-way variety." 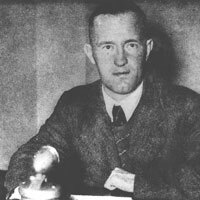 It was not long before Joyce became known as Lord Haw-Haw. Joyce continued to broadcast throughout the Second World War. In 1940 the Daily Mirror organized the Anti Haw Haw League of Loyal Britons and members pledged not to listen to these broadcasts. Other British subjects who took part in these broadcasts included John Amery, Railton Freeman, Norman Baillie-Stewart, Kenneth Lander, and William Griffiths. Joyce was captured by the British Army at Flensburg on 28th May 1945. Three days later Joyce was interrogated by William Scardon, an MI5 officer. Joyce made a full confession; but at first, the Director of Prosecutions doubted whether he could be tried for treason as he had been born in the United States. However, his broadcasts during the war had made him a hate figure in Britain and the Attorney General, David Maxwell-Fyfe, decided to charge him with high treason. Joyce's trial for high treason began at the Old Bailey on 17th September, 1945. In court, it was stated that, although he was United States citizen, he had held a British passport during the early stages of the war. It was therefore argued in court by Hartley Shawcross that Joyce had committed treason by broadcasting for Germany between September 1939 and July 1940, when he officially became a German citizen. Dr Kubuschok: The Prosecution has reproached you for your anti-Semitic attitude in connection with your report to Hitler of 12 May, in which you suggested giving financial aid to the Freedom League for the furtherance of their fight against Jewry. What was this Freedom League? Von Papen: The Freedom League was a focal point, a union of the former Christian Trade Unions and the Christian Workers' Union, under the leadership of the president of the Trade Unions. Dollfuss took over the leadership in 1934. It would be utterly ridiculous to accuse this Freedom League, mainly composed of Catholic workers, of an anti-Semitic attitude in the National-Socialist sense. The Freedom League fought to purge the administration of Vienna of unsuitable Jewish elements. The problem of this undue alien penetration was absolutely similar to conditions then existing in Germany, conditions which I mentioned yesterday in detail. This fact is also proved by the report submitted yesterday to the Prosecution. I learned that the Czechs were endeavoring to establish close relations with the Freedom League and that for this purpose they desired to support the League with large sums of money. He (Papen's counsel, Dr Egon Kubuschok) will never use one word if a dozen will do. Clouds of verbiage, mountains of irrelevance and oceans of arid pomposity distinguish his every moment in court . . . . He unites with this absence of merit a smug self-complacency, an indifference to ordinary emotions (such as diffidence in taking so much time) . . . . Incompetence and mediocrity are enthroned, and with the despotism associated with power are enjoying their little day. In fall 1933, I joined the SS horseback riding school on the "Reitersturm I" at Berlin-Halensee. I was there twice a week and took riding lessons. The entire outfit [never participated] in any activity whatever outside the riding school during my connection with it. In the summer 1934, I got my discharge from the Reitersturm. 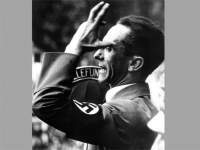 In 1939 [his record, however, indicates the year was 1937], I was officially demanded [sic] to join the National Socialist Party. At this time I was already Technical Director of the Army Rocket Center at Peenemuende . . . . My refusal to join the party would have meant that I would have to abandon the work of my life. Therefore, I decided to join. My membership in the party did not involve any political activity. In spring 1940, one SS-Standartenfuehrer (SS Colonel) Mueller � looked me up in my office at Peenemuende, and told me that Reichsfuehrer SS Himmler had sent him ,with the order to urge me to join the SS. I called immediately on my military superior for many years in the Kriegsministerium (War Department), Major General Dr. Dornberger. He informed me that � if I wanted to continue our mutual work, I had no alternative but to join. After having received two letters of exhortation from Mueller, I finally wrote him my consent. Two weeks later, I received a letter reading that Reichsfuehrer SS Himmler had approved my request for joining the SS and had appointed me Untersturmfuehrer (lieutenant). From then on I received a written promotion every year. At the war's end I had the rank of Sturmbannfuehrer (Major). But nobody ever requested me to report to anyone or to do anything within the SS. In addition to the SS I was a member of the following organizations: DAF (Deutsche Arbeitsfront, Trade Union); NSZ (Nat. Soc. Welfare Organization); Deutsche Jaegerschaft (Hunting Org); Reichsluftschutzbund (Air Raid Protection Organization). 1948 International Declaration of Human Rights is adopted by the UN Commission on Human Rights. Zhukov was born in 1896 and he served as an officer in the Russian Imperial Army during World War One. After the Bolshevik victory in November 1917, Zhukov joined the communist Red Army. He served as a cavalry commander during the Russian Civil War. After the Civil War had ended in Russia and relative calm had descended on the nation, Zhukov studied the use of armoured warfare in battle. He had seen for himself, the cost in human lives of outmoded warfare and he developed his own ideas on how armoured vehicles could be used in combat. His knowledge and skill clearly impressed Joseph Stalin who had used the Purges to rid himself of many senior Red Army officers. In 1940, Zhukov was appointed chief of staff by Stalin. Zhukov knew that failure would not be tolerated by Stalin - neither would be getting on the wrong side of the leader. Operation Barbarossa cruelly exposed the Russian Army for what it was at that time. The Germans surged on to Stalingrad in the south, got into the suburbs of Moscow and besieged Leningrad in the north. Zhukov's first great test was to save Moscow which he did. He then used his expertise to destroy the German Army at Stalingrad which lead to Field Marshall von Paulus surrendering his forces. From this surrender, the German forces would only be retreating back to Germany such was the devastating nature of this defeat. For the advance into occupied eastern Europe, Zhukov used to his advantage the new T-34; a weapon that set new standards for tank design. The victory of the Russians at Kursk gave them a huge advantage over the Germans in terms of armoured warfare. Zhukov was given the credit for the victory of the Russian forces over the Nazis in the Battle for Berlin. Though a victory in military terms, the Russians had taken very many casualties in this battle. However, this victory sealed for Zhukov the title of the 'man who never lost a battle'. In the aftermath of this victory, Zhukov, now a marshal in the army, headed the Russian occupation force. However, his success and fame was his undoing. Stalin could never tolerate someone in Russia being more famous than he was - or even threatening that fame. In 1946, Zhukov was demoted by Stalin to a regional post in Russia and he was sidelined. When Stalin died in 1953, Zhukov regained the prestige his career merited. In 1955, he was appointed First Deputy Minister of Defence. In 1957, he was promoted to the Executive Committee of the Communist Party. However, he was sacked from both positions in 1957 when he was accused of putting the military before the party. From 1965 to 1968, Zhukov wrote articles for Russian periodicals but their content would have been heavily censored by the government. Other than that, the man who effectively led the Russian military during World War Two, lead a quiet life in retirement. 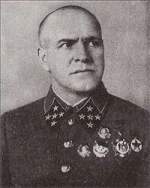 Gregory Zhukov died in 1974 aged 78. 2004 European Union: Leaders agree on the first constitution for the bloc's 25 members.